The best christmas pud this side of the river! Yesterday the Cornercopia kitchen was smelling pretty sumptuous, as another small batch of Christmas puds were steaming away for several hours. Our puds contain Kernel Porter and generous amounts of vine fruits soaked in English cider brandy – making them rich, crumbly and boozy. Each one comes in an enamel pudding bowl with instructions for how to cook and serve. The half kilo size (£11) should make 2-4 people full & happy and the larger size (£14.50) should be good for family of 4-6. Some puds will be reserved for our ‘Christmas Feasting Hampers’ and others you will soon be able to pre-order on our web site, or buy in the shop in December. 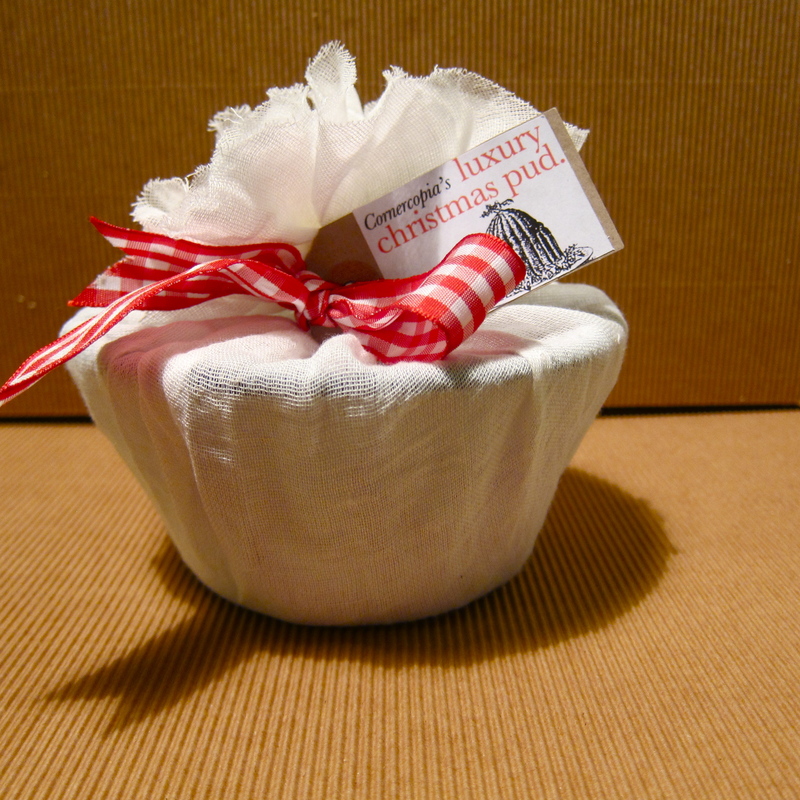 This entry was posted in Uncategorized and tagged brandy butter, christmas, christmas pudding, Christmas puds, puds. Bookmark the permalink.